Birthday parties, holiday celebrations, and end-of-the-school-year festivities are huge events for kids. Food is often the centerpiece. Your child’s school may have already briefed you on food allergy information regarding safe lunches and snacks to pack. This same attention to detail is important when hosting parties where food will be served. The Food Allergy Research & Education (FARE) organization estimates that 15 million Americans have food allergies. Here’s how to plan a rocking party that keeps everyone’s safety in mind. In fact, these foods trigger up to a 90 percent of all reported reactions. Each person’s allergy response is unique. One child might be allergic to only wheat, for example, while wheat, eggs, and tree nuts may affect another child. Symptoms of allergic reaction can range from mild skin irritation to abdominal discomfort to life-threatening anaphylaxis. Ask ahead. 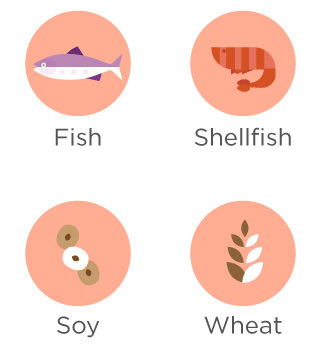 Chat with other parents ahead of time to learn about any food allergies their children have. Don’t feel that asking is invasive. Parents will probably appreciate your concern. Write it up. If you’d rather not ask in person, consider adding a line in your invitation or R.S.V.P. notice where parents can indicate food allergies. That way, when you’re planning your menu, you can avoid ingredients that might cause issues. Label foods. When you’re getting together all the party supplies and decor, write out clear labels for any foods that might contain allergens. You could also slap on a few safety stickers for easy and clear messaging that even younger kids can understand. Avoid contamination. Avoid cross-contamination by placing food strategically. You don’t want peanut crumbs, for example, to get mixed in with allergy-free alternatives. Go prepared. If your child has a food allergy and is going to a party, speak with the host. If you don’t plan to attend the party, make sure that someone knows about medication or emergency measures. Give the host your phone number and any additional instructions. You can also give your child a printed card with their allergy information clearly outlined. An allergy-free food party doesn’t have to be bland. 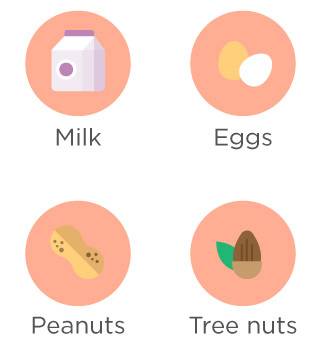 You can find a good number of exciting and tasty allergy-free snack, meal, and dessert ideas by searching databases like “Safe Eats” from Kids with Food Allergies. Browse by the dish you want to serve, define the ingredients you want to avoid, and get cooking. Don’t underestimate the power of plain fruits and vegetables. You can dress them up for a party by plating them in new ways. Check out these Sesame Street fruit and veggie trays. Assemble a plate of cut strawberries to make Elmo’s face, using blackberries for his mouth and some dip for eyes. Cookie Monster is made with blueberries, Oscar with broccoli, and Big Bird with bright yellow pineapple. Besides being free from allergens, plain popcorn also makes a wonderful addition to movie parties. Try these popcorn balls for a fun twist on the original. Melt margarine, marshmallows, vanilla, and salt. Pour the mixture over popcorn, shape into balls, and let sit until firm. Buy or bake gluten-free bread and set up a station where guests can build their own sandwiches. Baking your own bread can be satisfying, especially since you can guarantee that’s gluten-free. Just check labels to ensure your meats, cheeses, hummus, and other toppings are free from allergens too. These corn-free hot dog bites are sure to please your hungry crowd. Mix together rice flour, vinegar, flax meal, and water. Let sit before adding shortening, sugar, garlic powder, and baking soda. Spoon into oiled muffin cups, stick a piece of hotdog into each one, and bake for 10 minutes. Making your own gluten-free flour to substitute regular flour in your favorite recipes is easier than you think. It just takes mixing tapioca and white and brown rice flours with potato starch. It’s great for adapting your favorite cake, cookie, and other baked good recipes. This wacky cake is based on a Depression-era recipe, when eggs and butter were rationed. Mix together gluten-free flour, sugar, baking soda, and salt. Then make a few wells to pour in the wet ingredients. Bake 35 minutes for a whole cake or 20 minutes for cupcakes. Other flavor variations include chocolate, spice, orange, and lemon. Take this basic buttercream icing recipe in a vanilla or chocolate direction, depending on your child’s preference. You’ll beat together shortening, margarine, vanilla extract, powdered sugar, and water. Don’t be tempted to ice your cake before it’s cooled! If you’d rather stay away from baking, try these no-bake oatmeal cookies for a delicious party treat. Bring coconut oil, granulated sweetener, your favorite non-dairy milk, and cocoa powder to a boil over medium-high heat. Add vanilla extract, sunflower seed butter, oats, and ground flax seeds. Mix together and then press into cookie cutters to make different shapes to fit your theme. Just make sure to check labels when buying oats, since not all brands are gluten-free. If you’re looking for something with a little more pizazz then water, try 100 percent whole fruit juices or flavored sparkling waters. This kid-friendly sangria packs a spirited punch and is easy to make. Combine lemonade, lemons, green apple, tangerine, plums, peaches, and nectarines. Let sit for two to four hours in your refrigerator before adding ginger ale. Food allergies don’t need to exclude anyone from the fun. With some planning and substitutions, you can host an amazing birthday party that everyone can enjoy. You might even find a few new favorite recipes in the process.